Home > COMET INDUSTRIES BELTS > COMET 203597 (A or DF). COMET INDUSTRIES 994-110 BELT. > Comet 219464A Driven Clutch Unit. 3/4" Bore. Comet 31D-7 Driven Clutch. Comet 219464A Driven Clutch Unit. 3/4" Bore. 7" Diameter. Comet Industries 31D-7 Driven Clutch. 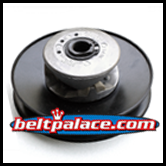 Comet 30 Series Driven Unit requires Asymmetric Drive Belts (Used on many Carter Brothers go-karts). 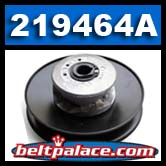 Replaces Murray 1201405 Driven Clutch, Murray 680166 Driven, Comet 217778A, Comet Industries 219464 Driven.